TARGUMAN (Professor Christopher Brady) has two new notes on his forthcoming book, The Proselyte and the Prophet: Character Development in Targum Ruth (Brill). There's more on the book here and links. READING ACTS: The Christian Interpolation – Sibylline Oracle, Book 1.324-400. Past posts in the series on the Sibylline literature are noted here and links. UPDATE: I should be cross-filing these under Old Testament Pseudepigrapha Watch. NUMISMATICS: Ancient Coin Profiles: Carthaginian Gold & Silver 1 1/2 Shekel. I didn't know that coins could come in a 1.5 shekel unit or that it was called a Trihemistater. Cross-file under Punic Watch. CONGRATULATIONS TO MS. LANDMAN WERMUTH: Revel Student Awarded Prestigious Fellowship. Yael Landman Wermuth Receives Association for Jewish Studies Dissertation Completion Fellowship (YU News). Die Sprache der Septuaginta : Handbuch zur Septuaginta. Die vielfältigen Aspekte der Sprache der Septugainta§§Das Handbuch zur Septuaginta bietet einen zusammenfassenden Überblick über die zentralen Felder der Septuaginta-Forschung. Das Werk ermöglicht Historikern, Literatur- und Sprachwissenschaftlern, Theologen, Philosophen und allen an den jüdisch-christlichen Quellen europäischer Kulturgeschichte Interessierten einen kompakten und zugleich umfassenden Zugang zum Wissen über eines der einflussreichsten Werke der Weltliteratur.§§Der vorliegende Band beschäftigt sich mit der Sprache der Septuaginta und nimmt dabei Aspekte wie die Forschungsgeschichte, Vokabular und Syntax, Übersetzungstechnik, Hebraismen, innovative Elemente im Vokabular in den Blick, bietet Untersuchungen zu ausgewählten Wortfeldern und vergleicht das Griechisch der Septuaginta mit dem des Neuen Testaments. HT the IOSCS Facebook page. COPTIC WATCH: Coptologist Position at the American University in Cairo (Christian Askeland, ETC). ALLEGED DSS PONZI SCHEME UPDATE: Thousands of ‘frozen’ manuscripts from bankrupt Aristophil fund to return to market. Historical documents and manuscripts from the scandal-hit Aristophil investment scheme could soon return to the market as the slow process of restitution promises to quicken in the coming weeks (Roland Arkell, Antiquities Trade Gazette). On July 28 a judge in Paris will rule on whether the receivers can begin the process of returning around 20,000 valuable items to investors as early as September. An estimated 135,000 works from the world’s largest private collection of historic manuscripts were placed under seal by the French judiciary in 2014 as an investigation into a ‘pyramid’ scheme began. For more than a decade, Aristophil, run by dealer Gérard Lhéritier, was the biggest buyer in a booming manuscript market. Acquiring spectacular works at auction and through dealers, the company encouraged investors to speculate on historical letters and manuscripts with the promise of an annual return of 8% or more. Only a relatively small percentage of the total Aristophil holdings could be restituted in the coming months – those from so-called Amadeus contracts where documents were fully owned by an individual. These 20,000 items are owned by around 5000 investors. ATG understands that the receivers have asked the judge to declare all of the Aristophil contracts void so that the Amadeus restitutions can begin. Items that were offered by Aristophil in shares, and are now the property of multiple owners (known as Coralys contracts), are legally more complicated. Their redistribution could take several years. These include extraordinary and important items such as the will of the doomed Louis XVI, the original 39ft-long manuscript of the Marquis de Sade’s 120 Days of Sodom written while imprisoned in the Bastille, two Surrealist manifestos written by André Breton and fragments of the Dead Sea Scrolls. It will only be through the resale of these manuscripts that Aristophil’s investors will recoup any of their outlay. However, it is estimated that their sale will not recover the full amount invested as the authorities say many items were given over-inflated price tags. So that seems to be where the situation stands at present. Still no hint about the contents of those mysterious Dead Sea Scrolls fragments. PHOENICIAN WATCH: Did the Phoenicians Even Exist? Everybody in the Mediterranean around 3,000 years ago hated and envied these masters of seafaring, but who exactly were these Phoenicians? (Philippe Bohstrom, Haaretz). As phrased, the first question in the headline is idiotic, but the article is a good and wide-ranging survey of what we know about the Phoenicians. I assume the headline was provided by an unhelpful, clickbait-seeking editor. The Phoenicians are famed for being master seaman who traded with the peoples around the Mediterranean, spreading their alphabet as they sailed. Yet although they established trade centers as far as Spain and North Africa and founded the city of Byblos, which gave its name to the most influential book ever published, surprisingly little is known about them. Even their name comes from Homer, who dubbed them "Phoenicians", meaning "purple men", a reference to the murex dye for which they were famed. Beyond this, it's hard to excerpt the article, so read it all. There are many, many past PaleoJudaica posts on the ancient Phoenicians and Carthaginians. Just run "Phoenician Watch" and "Punic Watch" through the blog's search engine to find them. And also, see here for why the subject matters to PaleoJudaica. READING ACTS: Seven Generations of the World – Sibylline Oracles 1.1-323. Past posts in the series on the Sibylline literature are noted here and links. ARCHAEOLOGY: Rare Pottery Workshop Discovered in Galilee (Megan Gannon, Live Science). An ancient potters' workshop dating back to Roman times has been discovered in Galilee, in northern Israel. The Israel Antiquities Authority announced that excavations in Shlomi, a town near the Lebanon border, have revealed a ceramic factory where storage jars and vessels for wine and oil would have been made 1,600 years ago. Archaeologists working at the site said this workshop is notable for its carefully constructed rock-cut kiln. As the article notes, ancient glass kilns were also discovered recently in Israel. On 16 June 2016, SIIBS welcomed visiting scholar Dr Shayna Sheinfeld (Centre College, Kentucky) to speak at the launch of Embodied Religion. The Embodied Religion research theme is led by Dr Meredith J C Warren and supports inquiry into how religion is experienced through and advertised on the body. Dr Sheinfeld spoke to a sold-out crowd. Her talk, entitled "Seeking Salvation: What the Bible and the Hunger Games Have in Common," explored the theme of self-sacrifice in Young Adult literature and ancient Jewish apocalypses, the texts that at the root of western society's preoccupation with the end of the world. This sounds like an exciting project. Both Dr. Warren and Dr. Sheinfeld were present at the recent Enoch Seminar in Camaldoli. More of Dr. Warren's work was also noted here and more of Dr. Sheinfeld's work was noted here and here. JOB OPENING: Talmud and Halakha. Open call to candidates for a tenure-track position in the Department of Talmud and Halakha at the Hebrew University of Jerusalem (open rank). No deadline is given for applications, but applicants should have the PhD in hand by 26 September 2016 and the preferred area of specialization is the Tannaitic literature. Follow the link for further particulars and contact information. TEMPLE MOUNT WATCH: Israeli archaeologist says he was attacked on Temple Mount. Two Jerusalem Islamic Waqf members arrested after clash with group visiting Jerusalem holy site (Stuart Wine and Ilan Ben Zion, Times of Israel). Two members of the Jerusalem Islamic Waqf were arrested Wednesday after allegedly attacking Israeli archaeologist Zachi Dvira on the Temple Mount in the Old City of Jerusalem. A group of six Israeli archaeologists were attacked by eight Waqf members as the they toured the holy site, the Hebrew language Ynet website reported. The clash began after the Israeli group refused to leave the compound when ordered to do so by the Waqf personnel. Dvira, who is in involved in the Temple Mount sifting project, told Ynet “it looked like the start of a lynching.” He was not injured in the assault. Past posts on the Temple Mount Sifting Project are here and here and many, many links. DECORATIVE ART: In pictures: The art of mosaics returns to Jerusalem's Old City. Jerusalem Affairs Minister Ze'ev Elkin has unveiled a new art and tourism project featuring 10 original and reproduced mosaics in the ancient Roman section in the Jewish Quarter (Michael Zeff/TPS, YNet News). A new art and tourism project featuring 10 original and reproduced mosaics was unveiled on Monday by Minister of Jerusalem Affairs Ze'ev Elkin at the Cardo in the Jewish Quarter. "The project, 'Jerusalem of Mosaics,' is another step in branding the Jewish Quarter as a location that tells a story," said Itay Bezalel, CEO of the Jewish Quarter Restoration and Development Company. "The mosaic stones represent an ancient form of art and therefore blend admirably with the Byzantine paintings along the ancient street." The ten mosaic art pieces unveiled on Monday consist of a reproduction of the Madaba Map while the original is located in the early Byzantine church of Saint George in Madaba, Jordan. The other nine mosaics in the project, reproduced by the Eilon Mosaic Company at Kibbutz Eilon, depict the various shops that used to occupy the historic street. Examples include a mosaic of a fabric shop inspired by the famous mosaics of Ravenna, Italy, and a mosaic of a glassware shop, reproduced from an actual Roman mosaic discovered in Caesarea. There are photographs of many of the mosaics. THE BIBLICAL REVIEW BLOG: “Expanding Ezekiel” by Timothy P. Mackie (William Brown). Timothy P. Mackie. Expanding Ezekiel: The Hermeneutics of Scribal Addition in the Ancient Text Witnesses of the Book of Ezekiel. Göttingen: Vandenhoeck & Ruprecht, pp. 339, 100 €. In this high-level study and analysis of the scribal additions in the book of Ezekiel, Timothy P. Mackie (Professor of Old Testament and Hebrew at Western Seminary, Portland Oregon) explores the variety of textual additions. Through his methodology and large grouping of what he considers to be scribal additions, Mackie contributes the broader discussion regarding early Jewish textual transmission practices. Interesting and prolific blog, which has just come to my attention. William Brown is an MA student at the University of Chicago. HT James McGrath on Facebook. Was Hebrew almost the official language of America? BREAKING ISRAEL NEWS: How Hebrew Almost Became the Official Language of America (Tsivya Fox). It is noted that a vote was taken on the Mayflower as to which language the new settlers would speak in the New World. Hebrew apparently lost by only one vote. I'm skeptical, but cross-file under "Too Good to Fact Check." The information about the Hebrew on the seals of the three Ivy League Universities is correct. AWOL: Open Access Journal: Biblical and Ancient Greek Linguistics (BAGL). Biblical and Ancient Greek Linguistics (BAGL) is an international journal that exists to further the application of modern linguistics to the study of Ancient and Biblical Greek, with a particular focus on the analysis of texts, including but not restricted to the Greek New Testament. CINEMA: Ben-Hur trailer: Meet the 2016 version of the iconic Biblical-era hero (Nina Terrero, EW). Background here and links. The "brand-new" trailer at the first link is new only in the sense that it is a condensed version of the one released back in March, which you can find at the background link. The longer trailer is the better of the two. LARRY HURTADO: “Angels”: Pagan, Jewish, Christian. Yep, the pagans had angels too. THE ORION CENTER FOR THE STUDY OF THE DEAD SEA SCROLLS AND ASSOCIATED LITERATURE in Jerusalem has published Orion Newsletter 21 (2015). It was actually circulated by e-mail at the end of 2015, but it has recently also been put up as a pdf file on the website. You can read it at the link. Karl Galinsky (ed. ), Memory in Ancient Rome and Early Christianity. Oxford; New York: Oxford University Press, 2016. Pp. xiv, 406. ISBN 9780198744764. $135.00. This book succeeds in telling a powerful story. In the course of thirteen chapters, as the set changes from the Rome of Sulla’s dictatorship to the period when power was consolidated in the hands of a single family and, later, to the seemingly polarizing world of Late Antiquity, readers are introduced to a repeating theme. At every stage of their history, many Romans were intensely working through their past. That observation might be taken as banal in books on Caesar, Cicero, and Octavian. But in a volume that engages with the story of early Christianity, it makes a provocative opening move. For what it suggests is that “Babylon” was much more than the evil empire many Christians have remembered it to be. Rome was always a work-in-progress, and the memory of where the empire had come from, where it was going, and what it might still be was an important part of the wider political conversation. The book deals with matters indirectly or directly pertinent to ancient Judaism as well, such as the "false Nero" episodes, the "cityscape of Jerusalem" in the late first century CE, and the aftermath of the Bar Kokhba Revolt. THIS WEEK'S DAF YOMI COLUMN BY ADAM KIRSCH IN TABLET: Burden of Proof. In this week’s ‘Daf Yomi,’ the rabbis spin out all the hypotheticals—and then some—from a few simple verses from Exodus about open pits and a goring ox to see who might be at fault when things go wrong. Most legal systems are drawn up in the form of elaborate codes, with sections covering every technicality and eventuality that might occur. Biblical law, however, is very different: It usually takes the form of brief, concrete examples, miniature narratives. Take the case of the goring ox from Exodus, which has been at the foundation of Tractate Bava Kamma. It implies a basic principle of fairness, which is that the owner of livestock is obligated to take reasonable precautions to prevent them from causing damage or injury. But the principle is only implied, not stated. It is up to the rabbis of the Talmud to make the implication explicit, and in the process to supply halakhah with the abstract principles needed to give the law flexibility and consistency. I find it striking that the Talmudic standard of burden of proof is not far from the modern standard of innocent until proven guilty. Review of Collins, The Apocalyptic Imagination, 3rd ed. READING ACTS: Book Review: John J. Collins, The Apocalyptic Imagination. Third Edition. Collins, John J. The Apocalyptic Imagination. Third Edition. Grand Rapids, Mich.: Eerdmans, 2016. 456 pp. Pb; $38. I'm planning on using this book as a textbook for my Second Temple Jewish literature class next year, so it's good to have this review of the new edition. CARDO PROJECT: Byzantine-era mosaic to be restored in Jewish Quarter’s Cardo section. Old City beautification project initiated to celebrate 50-year anniversary of reunification of Jerusalem (Daniel K. Eisenbud, Jerusalem Post). This is a bit confusing. The Madaba Map is an ancient mosaic in a church in the town of Madaba in Jordan. Among other things, it depicts sixth century CE Jerusalem, including the Cardo thoroughfare. There are (at least) two replicas of the Madaba Map in Jerusalem, one in the lobby of the YMCA Hotel and the other in the Cardo. Apparently the latter is being restored and nine other mosaics are being added to go with it. Some of the information in the article could be presented more clearly. I think that's what it is is saying, although it took me a while to sort it out. Past posts involving the Madaba Map in Jordan are here, here, here, and here. Nach einer Phase der Rekonstruktion, Entzifferung und Edition aller Qumrantexte gilt es nun, ihre Inhalte gründlich zu erschließen. Die Beschäftigung mit der Semantik der Wörter in den Texten von Qumran will in erster Linie die theologische Aussage dieser Schriften erheben und die Theologie- und Literaturgeschichte der sogenannten "zwischentestamentlichen Zeit" darstellen. Dazu nimmt das ThWQ, das mit Band 3 vollständig vorliegt, das Vokabular der Qumrantexte, seine semantischen Valenzen und Verschiebungen weitgehend vollständig auf. Es analysiert die Fortentwicklung der hebräischen Sprache in der zwischentestamentlichen Zeit, stellt das Nachleben und die Rezeption alttestamentlicher Vorgaben im damaligen Judentum dar, macht den solcherart bereiteten Wurzelboden für das Urchristentum und bedeutende andere apokalyptische Strömungen deutlich und erhebt eine "Theologie von Qumran" im Spannungsfeld von Hebräischer Bibel und Neuem Testament. Durch Qumran werden vor allem neue theologische Vorstellungsfelder erschlossen, die im Tanahk erst in Frühstadien sichtbar werden (z. B. Auferstehung; Messianismus; Apokalyptik; Ekklesiologie u. a.). Immer deutlicher wird die große Vielfalt und Differenziertheit des damaligen Judentums, dessen Profile und interne Verhältnisse besser konturiert werden können. 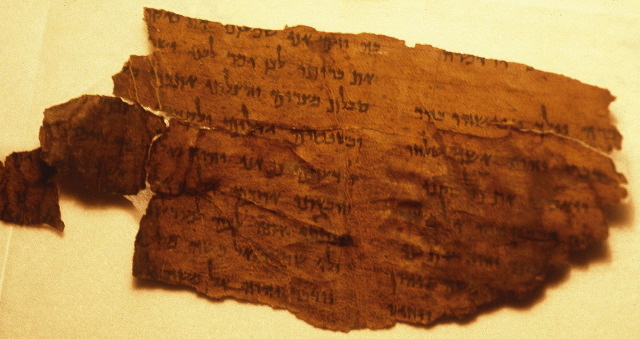 Hier werfen die Funde von Qumran neues Licht auf die Entwicklung innerhalb der Großgruppen des antiken Judentums, besonders des alttestamentlich/jüdischen Priestertums bis hin zu den Sadduzäern des Neuen Testaments. Da ein bedeutender Teil der Qumrantexte eine Alternative zur Liturgie des Jerusalemer Tempels entwickelt hat, bietet die Semantik des qumranischen Vokabulars auch für den Bereich der Liturgiewissenschaften neue Einblicke. Die textgeschichtliche Nähe der biblischen Qumrantexte zur Septuaginta und zum Samaritanus verspricht neue Erkenntnisse zur Rezeption und Interpretation der Hebräischen Bibel in den unterschiedlichen Strömungen des Frühjudentums. Insgesamt dient das Theologische Wörterbuch zu den Qumrantexten der präziseren Erfassung der Geisteswelt in der zwischentestamentlichen Zeit im Blick auf das ausgehende Alte Testament, auf die frühjüdische Literatur, auf die Auseinandersetzung des Frühjudentums mit dem Hellenismus und auf die neutestamentliche Urgemeinde. I have not previously noted volumes 1 and 2, but the German description above refers to all three volumes. HT the IOQS Facebook page. NOW OUT - GNOSIS: JOURNAL OF GNOSTIC STUDIES: Volume 1, Gnostic Countercultures, 2016. Follow the link for the TOC. Requires a paid personal or institutional subscription to access the full texts of the articles. AWOL: Open Access Journal: Journal for Semitics - Tyjdskrif vir Semitistiek. KABBALAH WATCH: This Day In Jewish History 1572: Father of Lurian Kabbala and Confidant of Elijah Dies. Rabbi Isaac Luria thought evil had been created commensurately with everything else, but could be reversed by 'tikkun olam' (David B. Green, Haaretz). On July 25, 1572 (5 Av 5332), the mystic-scholar Rabbi Isaac Luria died, in Safed, in the Galilee. Although Luria himself left behind almost no writings of his own, he had followers – in particular Rabbi Hayyim Vital – who collected his teachings, and these served as the basis for the Lurianic school of Kabbala, which remains an influential mystical trend in Judaism. Isaac ben Shlomo Luria Ashkenazi was born in Jerusalem, in 1534. His father, Solomon Ashkenazi, is believed, as suggested by his name, to have come to Eretz Israel from either Germany or Poland. His mother, whose name is not known, was of Sephardi background, from the community of Jews expelled just decades before from Spain. Much of what is known about Luria is derived from hagiographical texts about him, so it’s hard to point to established facts. Here are some of the stories. Past posts on the Zohar, which served as a major inspiration for Lurianic Kabbalah, are here and many links. Past posts on Shabbetai Zvi and Sabbateanism, which were in turn inspired by Lurianic theology, are here and many links. For some background on the Lurianic concept of Tikkun Olam, see here. A couple of old posts involving Lurianic Kabbalah and Isaac Luria himself are at the links. Dating the Sibylline Oracles, Books 8-14. The first post in the series on the Sibylline literature was noted here, with links. It is widely believed that the early Christians copied their texts themselves without a great deal of expertise, and that some copyists introduced changes to support their theological beliefs. In this volume, however, Alan Mugridge examines all of the extant Greek papyri bearing Christian literature up to the end of the 4th century, as well as several comparative groups of papyri, and concludes that, on the whole, Christian texts, like most literary texts in the Roman world, were copied by trained scribes. Professional Christian scribes probably became more common after the time of Constantine, but this study suggests that in the early centuries the copyists of Christian texts in Greek were normally trained scribes, Christian or not, who reproduced those texts as part of their trade and, while they made mistakes, copied them as accurately as any other texts they were called upon to copy. Krystyna Stebnicka, Identity of the Diaspora: Jews in Asia Minor in the Imperial Period. JJP Supplement, 26. Warszawa: Journal of Juristic Papyrology, 2015. Pp. xi, 380. ISBN 9788393842568. €60.00. The book under review is a translation of Krystyna Stebnicka’s work published in Polish in 2011. In the introduction (3-13) Stebnicka concisely addresses the issue of sources. No preserved literary texts can with certainty be said to have been written by Jews of Asia Minor, and the scholar is thus heavily reliant on non-literary texts, i.e. the many inscriptions collected in IJO II.1 Ameling’s corpus, Paul Trebilco’s monograph on Jews in Asia Minor 2 and more recent studies have shown how different the Jewish communities were in the various diasporas. This, then, serves to justify the present study, which seeks to ask questions concerning Jewish identity in the diaspora of Asia Minor. AWOL: GOSHEN-GOTTSTEIN, The Bible in the Syropalestinian version. Cross-file under Aramaic Watch. THERES AN APP FOR THAT: Ancient Jewish Texts Now Accessible in English Talmud App. [prMac.com] Chicago, Illinois - Davka Corporation today is proud to announce the release of the Soncino Hebrew-English Talmud for iPhone, iPad, and iPod touch. The Soncino Talmud presents the Talmud, the central text of Rabbinic Judaism, in Hebrew and English, together with a speedy search engine that allows users to search the text in both languages, quickly locate relevant results, and view full texts instantly. According to Rabbi Alan Rosenbaum, Vice-President of Davka Corporation, "The Soncino Hebrew-English Talmud makes Talmud study practical for on-the-go usage. It is affordable and easy to use." Past posts on other Talmud apps are here, here, here, here, here, here, here, and here. READING ACTS, having concluded its series on the ancient Books of Enoch, has begun a new series on ancient Old Testament pseudepigrapha, this one dealing with the Sibylline Oracles. The first post is: Introduction to the Sibylline Literature. Past PaleoJudaica posts on the Sibylline Oracles are here and links, here, here, here, here, and here.